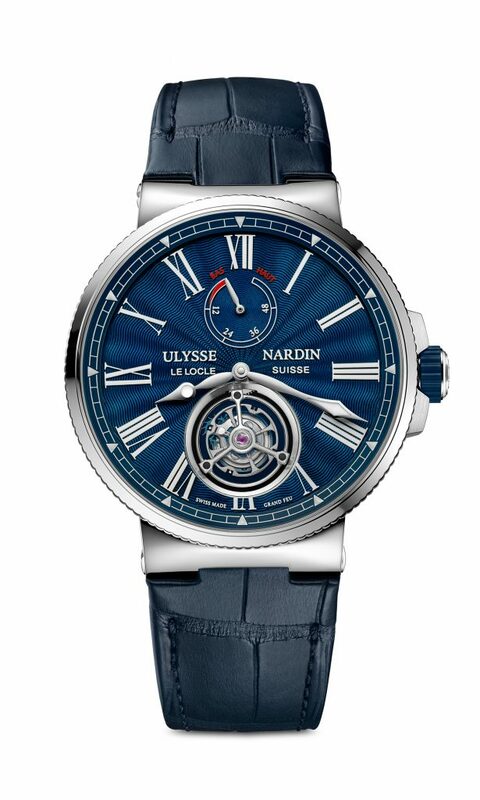 We all know that blue is the hottest dial color on the market these days, and somehow Ulysse Nardin always gets its blues right, especially in the case of this new Ulysse Nardin Marine Tourbillon Blue Grand Feu — just unveiled at SIHH 2018, and making its way to stores this summer. We went hands on with this timepiece and it didn’t disappoint — in any way, including its retail price. Part of the brand’s Marine collection, the newest timepiece if resolutely contemporary in design and appeal. Made in-house by the brand, the watch combines artistry and technical savvy. The movement powering this timepiece is the self-winding UN-128 caliber, made in the workshops at Le Locle. It is equipped with a flying tourbillon to compensate for errors in timekeeping due to the effects of gravity, and offers 60 hours of power reserve. Each of the components for the flying tourbilllon escapement, from the wheels to the screws, cage and hairspring, are made by the brand. On the outside, the watch features a stunning hand guilloche’ dial that is finished in blue Grand Feu enamel. With Grand Feu (Great Fire) enamel dials, the color can often be fired away during the kiln firings, and so achieving such a rich ocean blue is not easy. 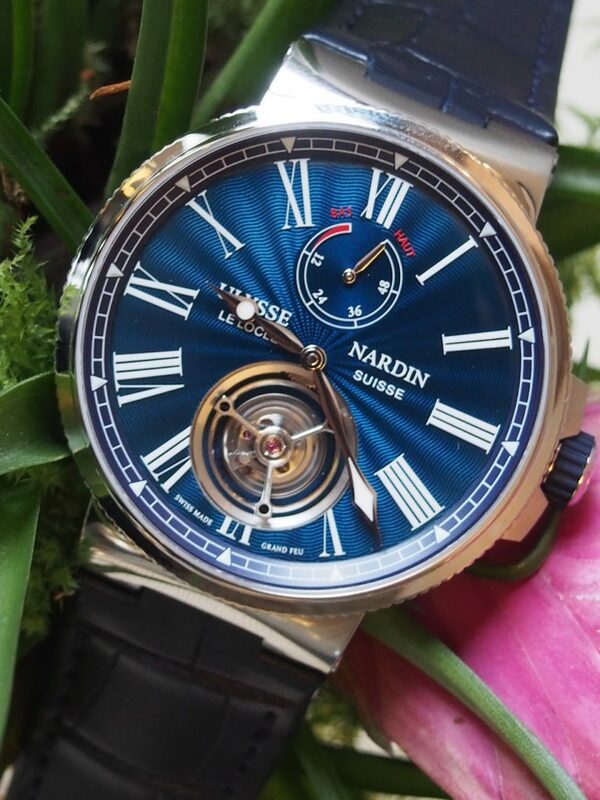 However, the artisans at Ulysse Nardin’s Donze Cadrans dial workshops are true masters. We visited the dial maker recently, and will be bringing full details soon. Finished with Roman numerals and power reserve indicator at 12:00, the dial of this chronometer flying tourbillon timepiece is mesmerizing. The 43-mm stainless steel case is water-resistant to 100 meters, and the watch is finished with a chic alligator strap. Now, for the best part: it retails for an incredible (approximately) $28,000. 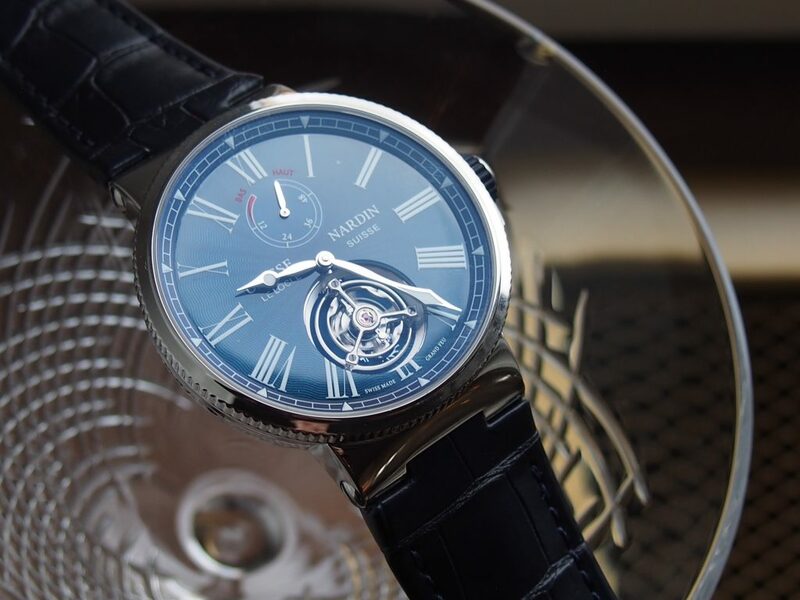 SIHH 2018: Ulysse Nardin Marine Tourbillon Blue Grand Feu.